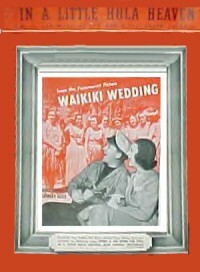 From the Paramount film Waikiki Wedding. In a little hula heaven over the silver sea. In a little hula heaven under a koa tree. 'Till skies grew hazy above.